Civilization VI's first expansion is just weeks away. Today you can get the base game for just $12 if you sign-up for the Humble Monthly subscription. If you dream of spending your evenings building civilizations and going forth to conquer the world, then today’s deal is for you. Humble Bundle’s monthly subscription service is offering Civilization VI right now for $12. For that price you get the base game, the Australia Civilization and Scenario Pack, and the Vikings Scenario Pack. The base game is currently $60 on Steam, so you’re getting it for 80% off with two scenario content packs included for free. On top of that, more games will be added to this month’s bundle. The Humble Monthly offer runs until early February. The downside of this sale is that you have to sign-up for the Humble Monthly bundle. Humble Monthly is a subscription service that charges $12 per month for a selection of games chosen by Humble Bundle every month. On top of the monthly game handout, you also get 10 percent off all Humble Store purchases. When we reviewed Civilization VI in October 2016, we liked it a lot. We said the base game was more solid than its predecessor was at launch, and that anyone looking for a fresh take on Civilization would have fun with this version. 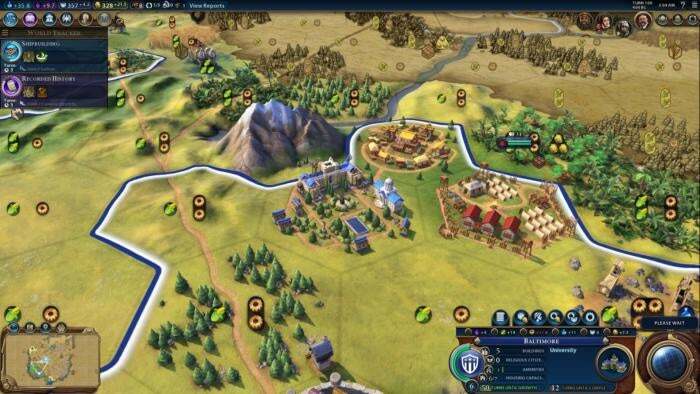 Plus we’re just about to close in on the game’s first expansion: Civilization VI: Rise and Fall rolls out on Thursday, February 8. You can quit the Humble Monthly subscription service any time. That means you can pay the $12, get Civilization VI, and then back out before you have to pay your next monthly charge. Or you can continue paying the $12 to see what other games you’ll get in the months to come—who doesn’t want to keep expanding their games library at a good price? Just keep telling yourself that someday you will finally play Rocket League and Goat Simulator and Portal 2. It’ll happen. Oh yeah. For. Sure.